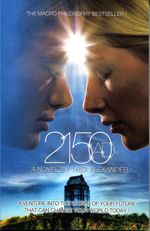 Tell us how 2150 A.D. has affected your life — or share your vision of the future. We’d like to know about your personal experiences and spiritual journey. Maybe there are activities and projects you would like the Macro Society to undertake — what are your thoughts? Big thanks to Cindy Summers for site development, and getting the project up in time for Thea’s birthday celebration!